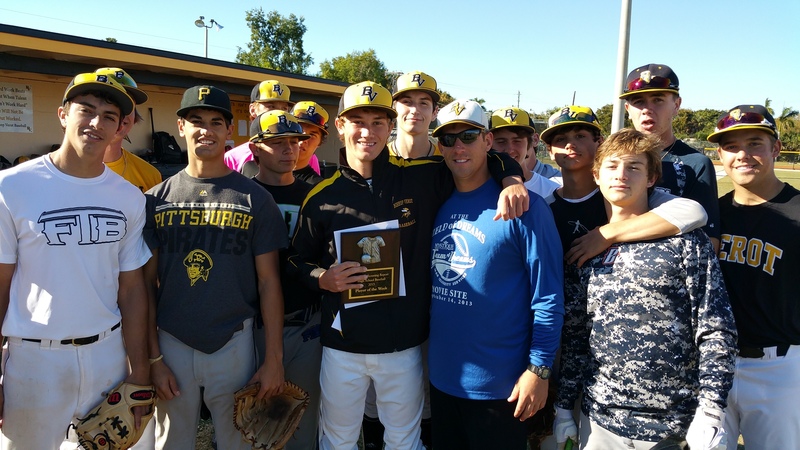 Congratulations to Patrick Banick, Senior, for his Pitcher of the Week Award for Southwest Florida presented by National Scouting Report. Patrick pitched a complete game shut out vs. Baron Collier High School on February 10, 2015. During his outing, Patrick threw 10 K's and only gave up two hits in the 2-0 victory for the Vikings.